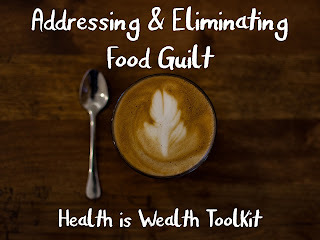 I really think that one of the best ways to keep your menu in check with your health goals is to make a shopping list before you head to the grocery store. Usually on Sunday mornings, my husband and I will sit down together (and solicit input from the kids) to plan our meals for the week before we buy our groceries. We know that on a couple of the evenings, time is hectic due to soccer practice and other activities and these are the nights when we plan to utilize the crockpot, have a freezer meal thawed and ready to be cooked, or we plan to grab a meal out. This really saves us time figuring out what to make for dinner at the last minute and gives us the opportunity to budget our meals based on what is on sale in the ad at our preferred grocery store. Planning ahead really does reduce a lot of stress associated with last-minute meal decisions (which can often end up in a drive-thru line that costs more and is less nutritious than what could have been planned in advance). 1. Plan your meals for the week. -One of my favorite places to get inspiration for meals is Pinterest. I Love my crockpot and am always finding easy and healthy recipes on there. 2. Look at the sales ads for your local grocery stores and make the shopping list for your meals using ingredients that are on sale. -If you are a coupon clipper, save even more money by coordinating coupons with items that are already on sale. -If the store brand is cheaper, give it a try! 3. Save money on meat by purchasing family packs. 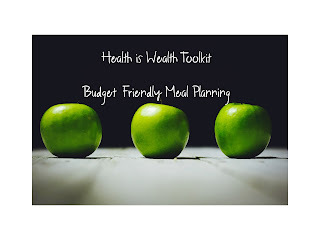 -If you have meals that use chicken (for example: chicken stir fry and bbq pulled chicken sandwiches) then sometimes buying the larger family packs can be cheaper. If you’re not using the meat right away, seal it up and put it in the freezer for later use. 4. Plan to add some healthy, low-cost foods into your meal plan that you can plan on being available all year round. -Foods that are full of nutrients that are available year-round include carrots, beans/legumes (great white northern beans, garbanzo beans, kidney beans, black beans, lentils), brown rice, oats, potatoes, and greens. -When choosing foods that are lower in sodium or salt-free, if the fresh version is not available or too pricey, go for the frozen version of the food. The frozen version typically has way less salt per serving than canned. 5. Prep, pre-package and/or precook your meals in advance. -Save money by making a double batch of a meal and freeze the other half for another date. Some of my favorite freezer meals are Crockpot White Chicken Chili, Budget-Friendly Hamburger & Lentil Soup, and Spinach Lasagna. -Don’t let your produce get lost in your refrigerator. Once you get home from the grocery store, cut up any vegetables that you plan to use for snacks and lunches or pick and wash fruit such as grapes to keep in a container in your refrigerator so that accessing them for snacks and packaging for lunches is easy! Great and simple tips! Thank you for sharing!